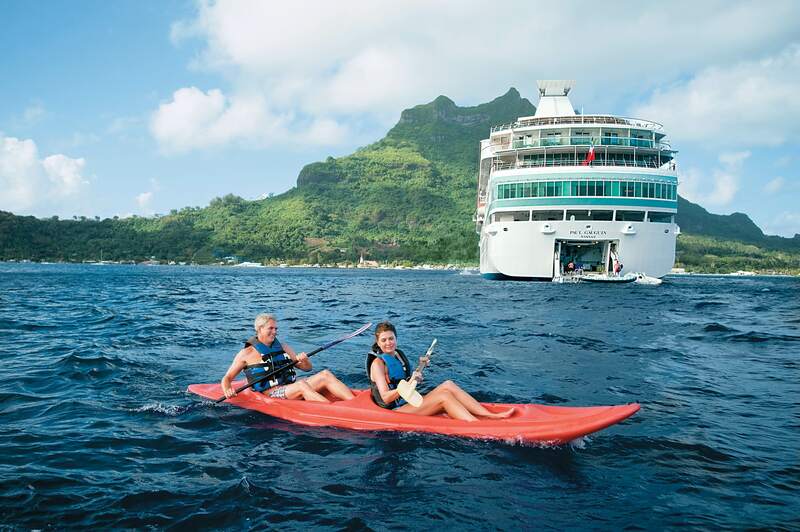 In a move that feels like someone came up with the pun first and worked backwards, Paul Gauguin Cruises are offering loved-up couples the opportunity to ‘Take Their Sweetie to Tahiti’ with their Valentine’s gift packages. Sailing on their mainstay luxury cruise ship, the m/s Paul Gauguin, you could enjoy a trip to the South Pacific whilst taking advantage of one of Paul Gauguin Cruises exclusive Valentine’s gift packages. The Valentine’s gift package includes a $200 per-stateroom credit at the ship’s Deep Nature Spa by Algotherm, a box of chocolates and a bottle of sparkling wine (total package valued at $250), and is offered to guests who book any 2018 and 2019 sailing between now and 17th February 2018. Designed to sail the seas of the South Pacific, the Paul Gauguin offers the perfect setting to celebrate a wedding, renewal of vows, anniversary—or simply each other. With one of the highest crew-to-guest ratios at sea, the Paul Gauguin is renowned for the extra touches and attention to detail that make every occasion special.